Hello and welcome to my agency, I'm Hanna. If you're looking for a pet, you can browse mine or check the selection of listers. Fill out the form and I will gladly post your UFA pet. We have plenty of active affiliates and many pets that have found a home through our agency. Feel free to contact me for any reason, and send all neomail to misshanna_xo. Thanks! May 14, 2014 +1 new affiliate, Ray of Sunshine. May 13, 2014 +1 new affiliate, UFA/UFT site Carousel. I'm still zapping my pets and hoping for some nice colours! Jan 7, 2014 Losoe the Strawberry Poogle has found a home! 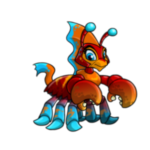 I have just adopted amelaryo from the pound, and will be zapping him till he is ready for adoption. Jan 3, 2014 Happy New Year to you all! I'm hoping to find homes for even more pets in 2014! Losoe has been adopted by a friend in my guild. I'm still zapping my pets and waiting on new colours, so keep checking back! Dec 10, 2013 I've been quite busy with school, so I've had little time for neo :( I'll try to be on to update as often as I can. I am still zapping my pets, so feel free to neomail me if you'd like to adopt any of them! Mermietta is also still UFA! July 25, 2013 My busy summer schedule has left little time for Neopets, but I'm doing my best to keep updated! UFA listing is still open, though may be a bit on the slow side :) All of the pets here are accurate! 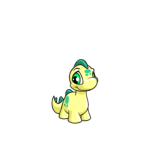 June 7, 2013 +1 new lister, Airyeil the baby shoryu! May 31, 2013 +1 new affiliate, Good Omen Adoptions! I have also gone through my affiliates and listers links and removed all inactive sites. May 20, 2013 +1 new lister! May 18, 2013 +6 new listers! Rainlillies has been adopted! 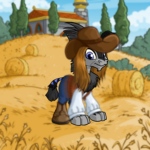 I'm still active on Neo and always looking for pet listers! All pets are also up to date and looking for homes! Dec 3, 2012 I've been quite busy with school and it doesn't look like it will let up any time soon. I'm closing pet listing for now as I simply have no time to keep up with it. This is only temporary! However, any pets of mine that I zap will be listed here and still be available for adoption. Hope you all have a happy holidays! Oct 1, 2012 Iscyca has been adopted, and I'm now zapping Losoe. All adopted pets have been removed so everything here should be accurate! Sept 9, 2012 +1 new lister! Iscyca has also been zapped into a Blue Kau. Sept 4, 2012 +1 new lister! I've just started school, so I'll likely be less active in the coming months. I'll still do my best to answer mail and update! Aug 31, 2012 Just removed 2 adopted pets. Aug 15, 2012 +1 new lister! June 10, 2012 We have reached 4,000 hits to the site! June 8, 2012 I've just gone through and removed all adopted pets, inactive affiliates and inactive listers. Everything here should be accurate! April 25, 2012 New layout! I know we didn't quite hit 3k hits, but I couldn't wait to spruce up the page. It should work in IE and FF. What do you think? April 24, 2012 I will put in a new layout at 3,000 hits :) Almost there! Jan 25, 2012 We have hit 2000+ page views! Oct 02, 2011 We have officially hit 1,000 page views! A great accomplishment in just under 2 months! I know that rules are no fun, but unfortunately they're necessary. 1) Please send all of your applications to the user specified beneath the pet! 2) If the name listed is misshanna_xo , this pet belongs to me. 3) If you are interested in any of my pets, you may send me a brief neomail application. Simply state why you want the pet, why you would make a good owner and any other useful information. 4) I DO NOT require a petpage app, however you may choose to do one if thats what you're comfortable with. Please include a disclaimer if you choose this style. 5) Please list your main account and all side accounts in your application. 6) The state that your current pets are in (happy & well fed vs. starving & neglected) tells me alot of information that an application will not. 7) Please mention spring daisies somewhere in your application to make sure you've read the rules. 8) For accounts under 4 months, there are only certain pets you can adopt. Please see the guide We Can Adopt Painted Pets Too! for a list of all colours available to under 4 month accounts. 9) For pets that do not belong to me, send your applications to the owner specified beneath the pets picture. Each owner has their own adoption rules and regulations, so be sure to click their rules link or ask them before you apply. Please note: I am still zapping, so colour, species, gender, and stats all subject to change. To add your UFA Pet, please fill out the form below and neomail it to me. 1) If I have listed your UFA pet, please link back to this page on that pet's lookup. To see all of the pets that I have found homes for, click here! Click in the box, press Ctrl + A to select the whole code, and Ctrl + C to copy it. See how we ranked on these great review sites! Not sure how to add a link back button to your UFA pet's lookup? * Select a button from above and copy the code, then click here to paste it to the lookup. *Note: The image was edited by me. Please do not use it without credit to Nienkju and myself. * Thanks to Tayler at Mirjeta for the first and second link back buttons! * Thanks to Michelle at Merely Michelle for the third and fourth link back buttons! * Thanks to Phoenix for the fifth link back button!